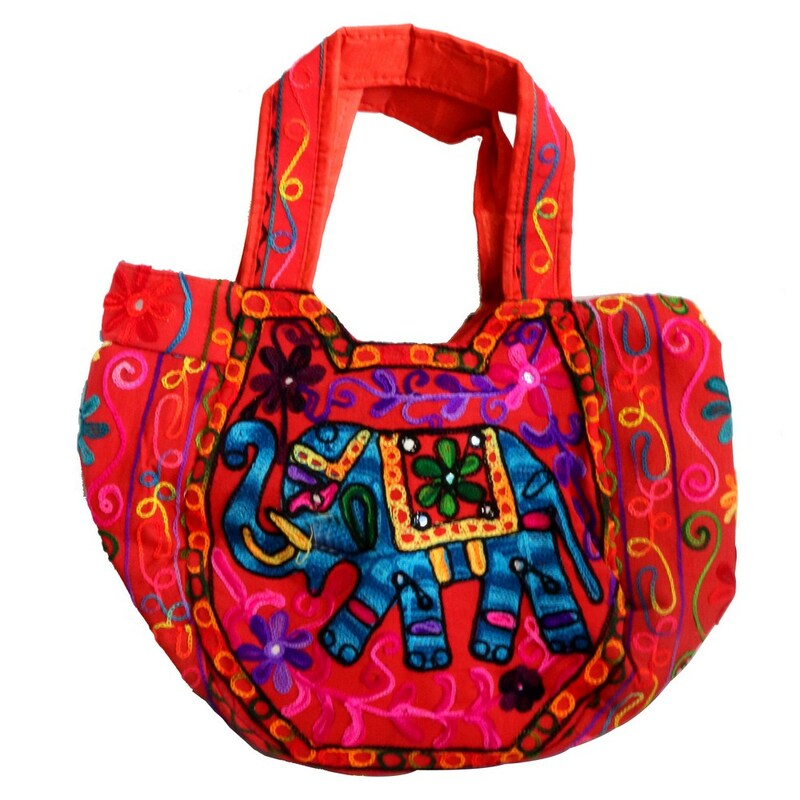 A bright pink colour engulfs this cute suzani handbag making it look gorgeous. It is sure to be anyone’s favorite because of the simple yet Read More..clean designs on its body. The turquoise elephant image vastly attracts attention which completely harmonizes with the background scene. It is a product well suited for parties and other occasions. Show Less..